The Royals have made a bundle of moves today. Say It Ain’t So, Sal. 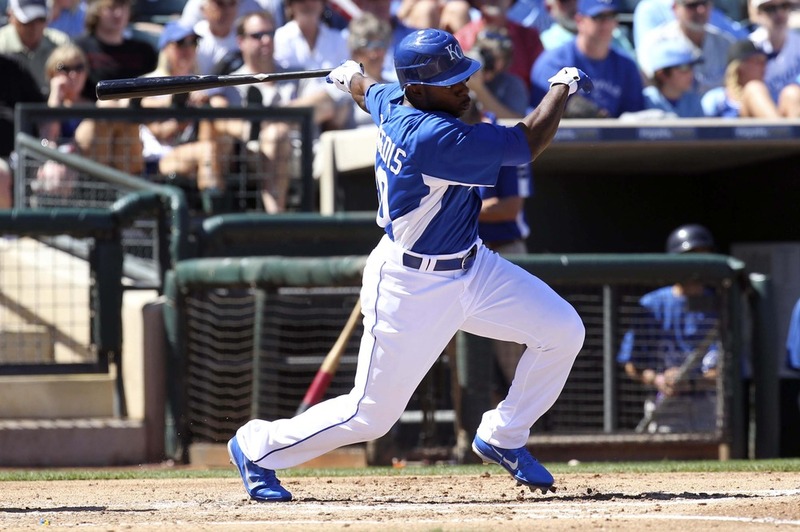 The Royals have stated that it is a torn left lateral meniscus. Sal will have surgery in Kansas City sometime in the next couple of days. A speedy recovery would mean at least 4 weeks, while the average recovery time is 6-8 weeks. The Royals have announced that Salvador Perez has torn cartilage in his left knee and that there currently is no timetable for his return. Cross your fingers KC! And hope that Salvy is a quick healer! Before yesterday’s 7-5 ST victory over the Reds, Sal Perez and Jonathan Sanchez were doing their usual pre-game warm-up when Salvy suffered some degree of a knee injury. Ned and Royals trainer Nick Kenney checked him out beofre Perez said he was good to go. Salvy was able to crouch, so he wasn’t scratched from the lineup card. He took the field and caught the 1st inning before being pulled, leaving the game with a “noticeable limp”. And according to his Twitter account, Perez is heading to Kansas City today to have an MRI done on said knee. If all goes well, Perez will be listed as day-today, with his trip to KC just being strictly precautionary. He’ll ice it up, take a few days off, and then get back to work. If all goes to hell, we’re left with the lovely tandem of Brayan Pena and Max Ramirez/Cody Clark/Free Agent’s name here. Without Perez behind the plate, the defense obviously takes a huge hit. 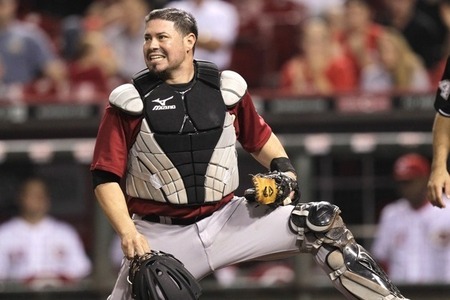 Brayan Pena and Max Ramirez are both, to a degree, offense first catchers. 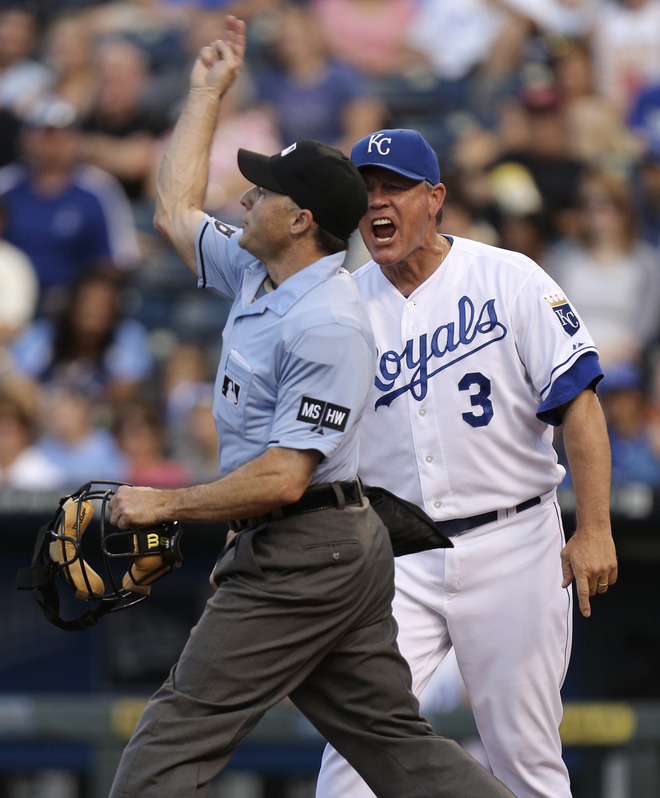 Pena’s defensive struggles have been well noted in Kansas City, even though he has improved his game. Manny Pina is already out for at least the first few months of the season due to a tear in his right knee, so he’s out of the short-term equation. Ramirez and Clark are non-roster invitees, meaning that neither one of them are currently oin the 40-man. So to put one of them on the roster would require removing smoeone from the current 40-man. Same goes for a FA. So for right, now I’m in Hold-Your-Breath Mode. We should know more about the severity of Sal’s knee some time later today and I’ll update as soon as I hear something new. 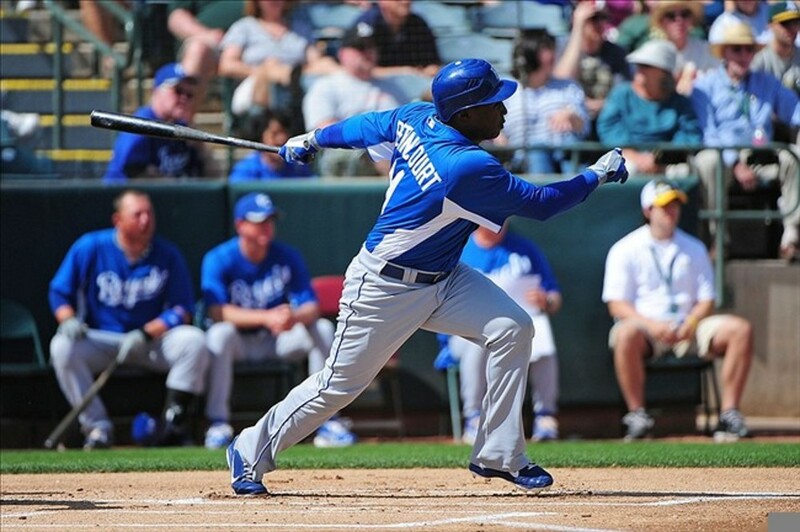 Over the next several posts, I’ll be breaking down the entire Royals organization, position by position. My rankings shouldn’t come as a surprise to anyone, and most of the top players at each position will be names that you are very familiar with. I’ll be giving you my top 5 guys at each position (excluding outfielders and pitchers, which I’ll expand to 10), a brief synopsis on them, and how I believe their careers shake out. I’ll hand out grades in a typical A-F scale. Tonight, I’ll start with the grittiest of the grit: Catchers. 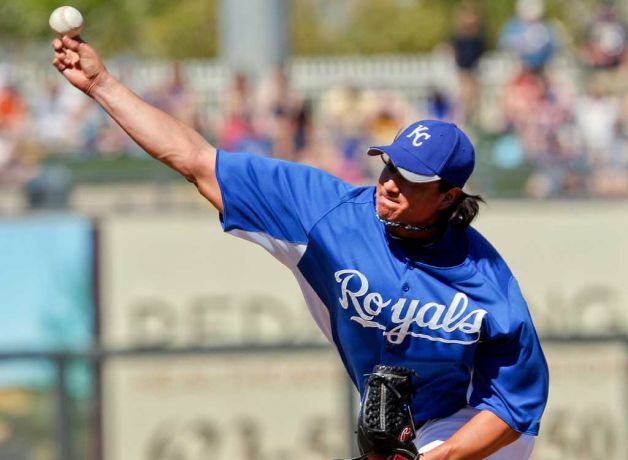 The Royals signed Shin, an international free agent, out of Korea in 2009. 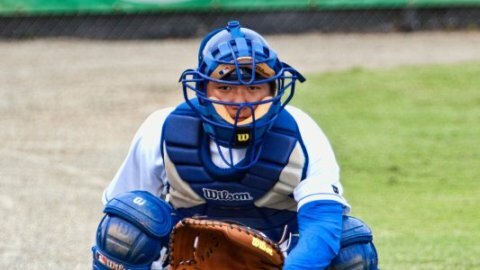 He has been promoted as a Kurt Suzuki type of catcher (advanced eye at the plate, moderate power, and sure-handed defense). To date, he has done little to back that up. After 85 games in two seasons, he’s hitting .189 with 17 extra-base hits and 102 K’s. On defense he hasn’t been any better, throwing out only 14% of base runners. Not exactly awe-inspiring numbers.. He’s only 19 though and still has a chance to prove his worth. Grade: C+. Could increase his grade with a decent showing this season. May be in the major leagues in the next 5 years, but no sooner than that. 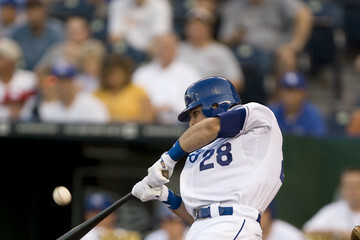 The Royals acquired Manny Pina from the Rangers in 2009. 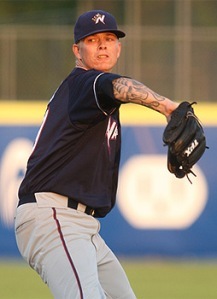 He split 2010 at AA and AAA, and made his major league debut this past season. 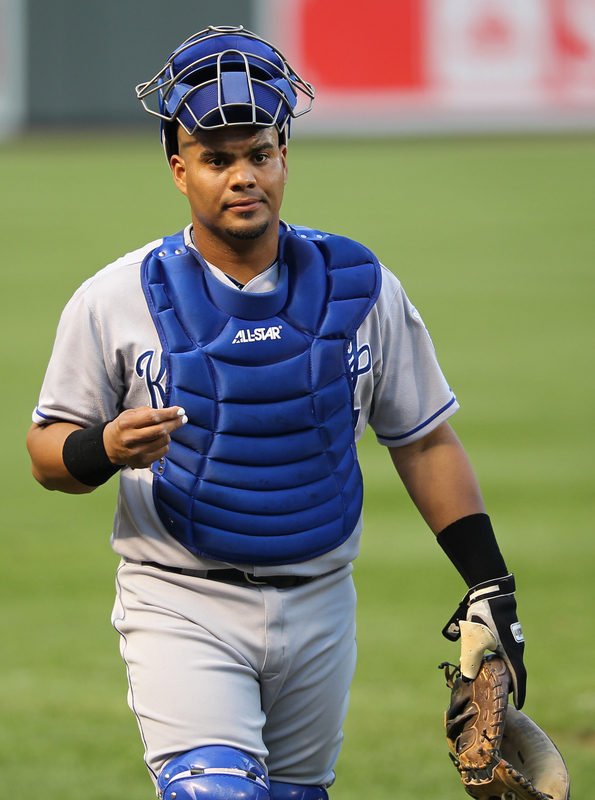 Many see Salvador Perez as the Royals catcher for the next 10 years.. Well Manny Pina could be the guy that backs him up. He’s still very young and possesses great knowledge of how to operate behind the plate (35% caught stealing, 31 passed balls in 435 career minor league games). His OBP jumped from .310 in 2010 to .365 in 2011, showing that his plate discipline has taken a step forward (though his batting average hovered around .239 last season). Think Matt Treanor when it comes to Manny’s career. He’ll always be a defense first guy, which is a dying breed as far as starting big league catchers go. Grade: C. See last two sentences. 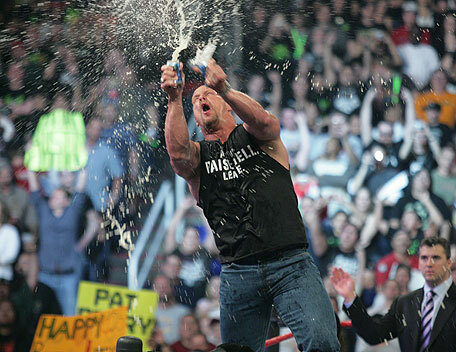 How could you not like this guy? He is a clubhouse dream, and one of the nicest, most humble guys you will ever meet, and loves the organization. 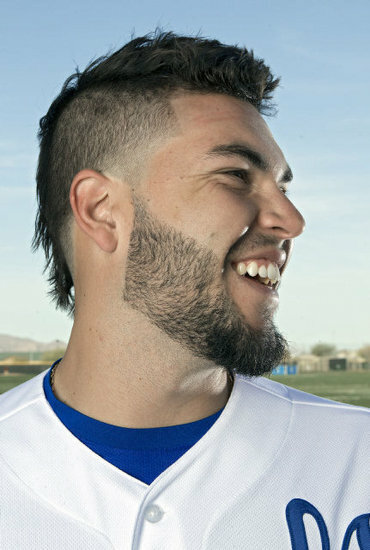 Brayan, like most Royals these days, is a former Atlanta Brave brought to the heart of America by Dayton Moore. 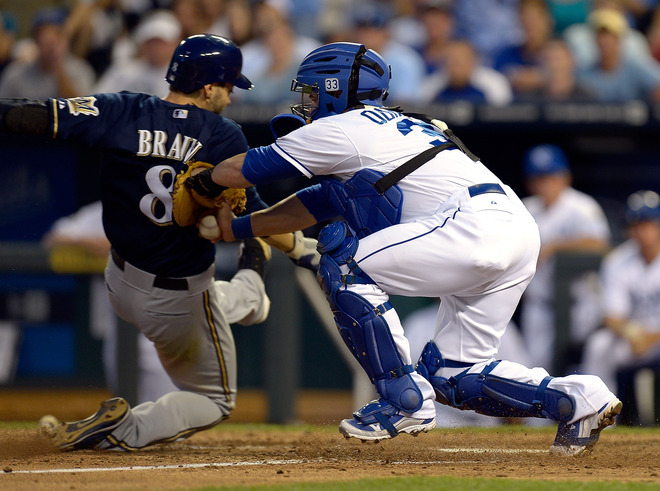 Brayan spent 2010 backing up Mr. Grit himself, Jason Kendall, and split time behind the plate in 2011 with Matt Treanor and Manny Pina before Salvador Perez was called up to take his rightful place. Brayan is not your typical big league backup catcher, in that he is better known for his bat than his glove. He possesses a little bit of pop (no more than Mitch Maier does) and gets an extra-base hit every now and again, making him a viable bat off the bench. But he has been looking to improve his glove game recently, as he sees what his future in the majors is beginning to look like. 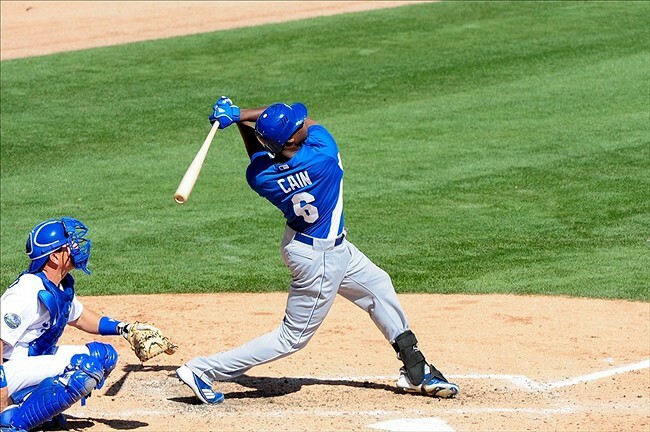 In 69 games last season, he had an impressive .995 Fld% while with a caught stealing percentage of 36%. Brayan is an honest, hard-working, and fun-loving guy. 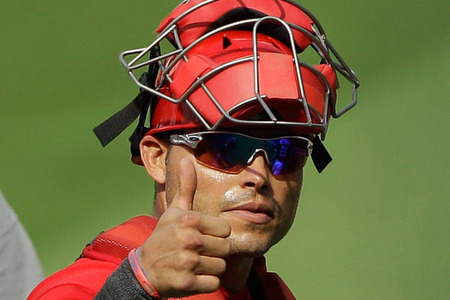 Signing a veteran catcher is never off the table to replace him, but as for now he will serve as a decent choice for our backup to Sal. Grade: C. He’ll never be more than what he is now. And I think he’s ok with that. 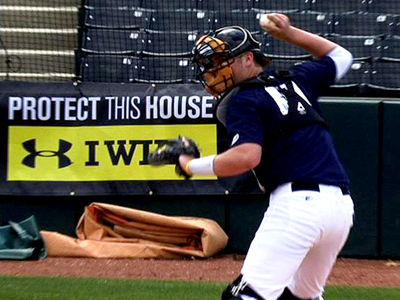 Cameron was the Royals’ second round pick in this past season’s amateur draft. He has only been catching for the past two years, so he will need (and get plenty) of time to grow into the position. At 6-2, 210, he already possesses a big enough frame that some scouts don’t see him sticking behind the plate in the big leagues. But his above average hands could keep him there. His bat should come around, and bring power along with it, supplying offense to a defensive position. If he doesn’t stick behind the plate, however, look for him to take the route of Wil Myers and switch to a corner position. Grade: B. 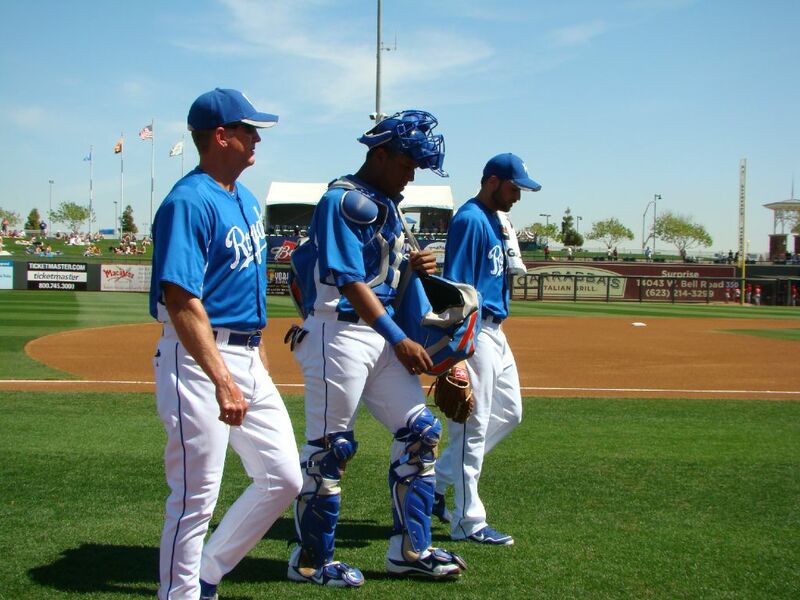 With Salvador Perez being just 22 by Opening Day this coming season, I don’t see Cam sticking as a catcher for too long if the Royals want him to be a part of their big league team in the future. Could serve as trade possible trade bait, but possessing organizational depth is a great asset to have as well. 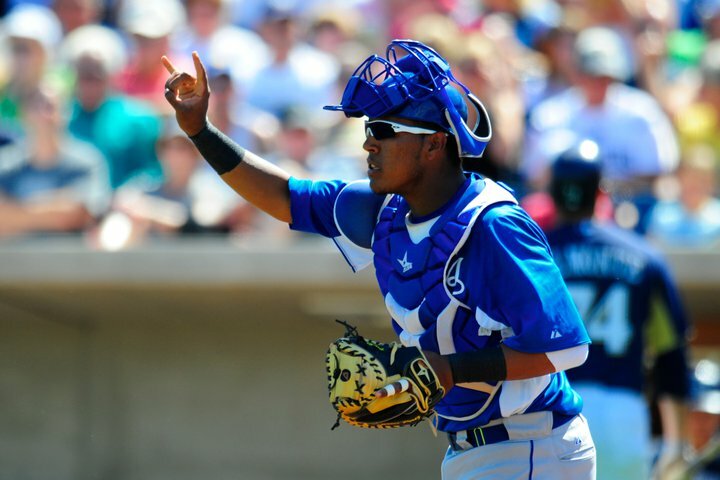 Salvador Perez is the catcher of the present and future of the Royals. 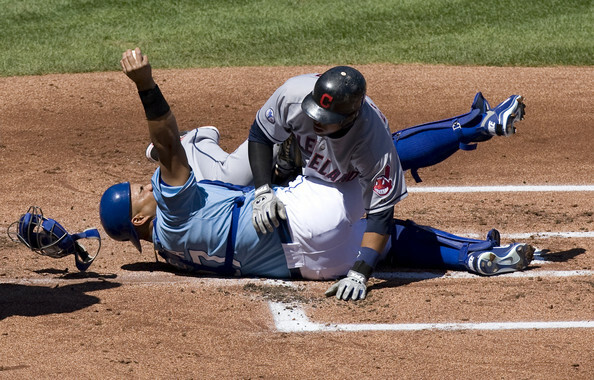 He has all the tools to be a Sandy Alomar type of catcher. Nobody in Kansas City expected him to be playing at The K last season, and certainly nobody expected him to perform as well as he did. Sal had a slash line of .331/.361/.473 in 39 games at the highest level last year with 13 extra base hits (including 3 HRs), and even came within a triple of hitting for the cycle. We haven’t had anyone with a gun for an arm like his in a long time, as he was seemingly throwing out runners on the corners once a week. And at 6-3, 230, he’s a monster for his position, but he shows the agility and quickness of a shortstop. Perez still has plenty to prove, but he’s off to a tremendous start and has already become a fan favorite. Grade: A. As young and as good as he’s been, I just can’t see him being any worse than a top 10 catcher for years to come.